Taliban walk as they celebrate ceasefire in Ghanikhel district of Nangarhar province, Afghanistan June 16, 2018. A suicide bomber struck in Afghanistan's eastern city of Jalalabad on Sunday, killing at least 14 people in the second attack in as many days targeting Taliban fighters, security forces and civilians celebrating a holiday cease-fire. Attahullah Khogyani, spokesman for the governor of Nangarhar province, said another 45 people were wounded in the attack, which struck a crowd of people as they left the governor's compound. No one has claimed the attacks, but they appear to be the work of the Islamic State group, which is not included in the cease-fire and has clashed with the Taliban in the past. The local IS affiliate has a strong presence in the province. The bomber on Saturday targeted a gathering of Taliban fighters who were celebrating a three-day truce coinciding with the Eid al-Fitr holiday. After the attack, Afghan President Ashraf Ghani announced a nine-day extension of the cease-fire. There was no immediate word from the Taliban on whether they would observe the extension. The three-day holiday and the cease-fire end Sunday. The chairman of the High Peace Council, a government body charged with negotiating an end to the nearly 17-year war, called on the Taliban to accept the extended cease-fire and join the peace process. "We hope that the extension of the cease-fire will be announced by the leadership of the Taliban," Mohammad Karim Khalili told a press conference in the capital, Kabul. He said there had been an "exchange of views" between the government and the Taliban over the past week, without elaborating. 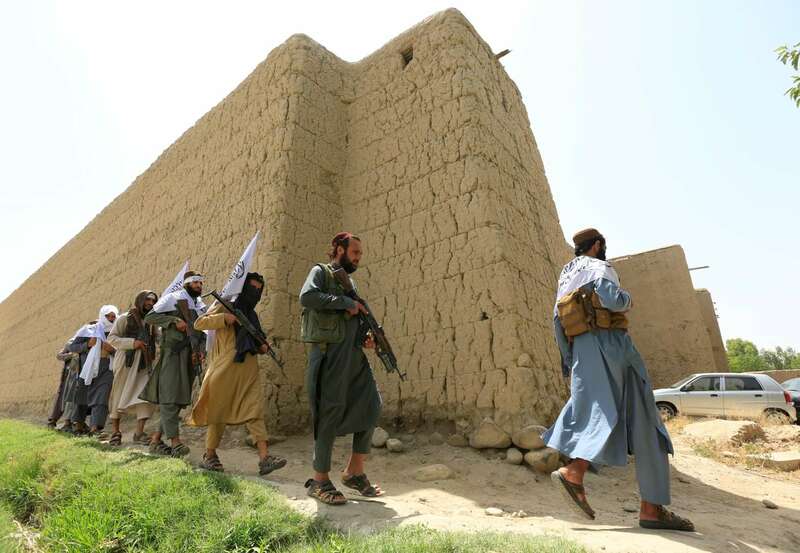 The Taliban have steadily expanded their presence in recent years, seizing a number of districts across the country and carrying out near-daily attacks on Afghan security forces. But over the past two days Taliban fighters could be seen celebrating the truce alongside Afghan troops and other people in a number of locations. Taliban leaders have at different times expressed interest in holding peace talks to end the conflict. But they have refused to meet with the U.S.-backed government, saying they will only negotiate with the United States directly. They have also demanded the withdrawal of all foreign forces.